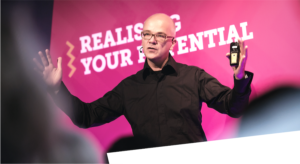 My online Marketing Leadership Masterclass in association with Marketing Week starts on April 30! This is your last chance to join at the special reader discount (you’ll save GBP 250). The Marketing Leadership Masterclass isn’t about marketing. It’s about becoming a leader who inspires change, builds influence inside the firm, mobilizes colleagues, and leads teams. Choose your own pace in this 12-week, 100-percent online class. 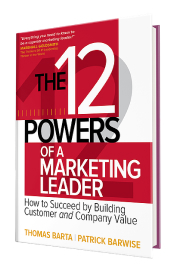 Build your personal leadership plan with a workbook, readings, reflection papers, live Q&A sessions with me and a signed 12 Powers of a Marketing Leader book. We’ll kick off the class on April 30. You can access all modules until July 31. That’s almost 100 days of learning, readings and live discussions for less than the cost of an ordinary marketing conference. UK participants can earn 33 CPD credits. As a TryThis.Blog reader, you’ll get a special discount: GBP 1,000 /~ USD 1,350 /~ EUR 1,160. That’s GBP 250 off the full price. Click here to book now. Use discount code “friendsoftom” but please, keep it to yourself.